Yes, I've been doing some more sewing....... just had to make Chloe a new Christmas outfit too (I was meant to make these shorts, as there was JUST enough fabric leftover from making Bridget's pair).. the shirt is from BigW, lovely quality. Lovely antique button I found in my stash! I even attempted to write her name! Back of List-taker - more free motion quilting. 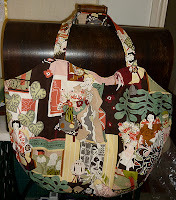 PATTERNS USED: Market Bag .. by Artsy Crafty Babe (Rebeka Lambert) .. click HERE for link. Quilted List-Taker .. JCasaHandmade (Jennifer Casa) .. click HERE for link. This gift will be in the mail tomorrow! Dare I say I will be back with yet MORE Christmas sewing? you never know! I'll try again- my sons are nearly 10 years older than yours, and no grandchildren here either! We can only hope, hey? Good for you trying to FMQ! Pretty presents! oh don't you be wishing to be a Grandma!! 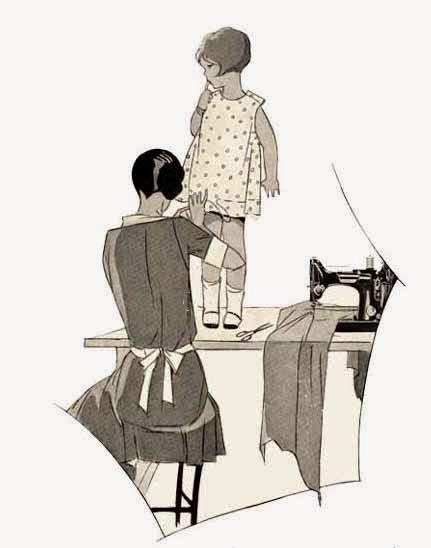 Well done with your FMQ - I am still terrified of it!